Almost a year since it first teased its home automation and security solution, AT&T began taking orders for the Digital Life platform in 15 metro areas across the U.S., including Chicago, Los Angeles, Miami, San Francisco, and New York. AT&T’s Digital Life system focuses mainly on security, with some home automation and remote control perks, as long as you add relevant extras to your package. The Simple Security plan costs $30 per months plus $150 installation and equipment fees. That provides you with 24/7 home monitoring, a 24-hour battery backup, a keychain remote, sensors, and an indoor siren. 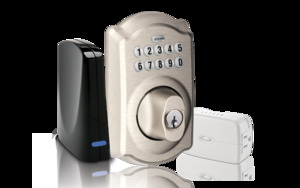 The next step up is Smart Security package at $40 per month with $250 installation fee. It includes all of the above services, plus sensors for motion, carbon monoxide, glass breaks, and smoke. AT&T said it uses U.S.-based monitoring centers, and you will be able to pick which alerts you want to receive based on your sensors. All features are controlled through a web browser or through apps for iOS, Android, and Windows phones. Things get interesting—and potentially expensive—with the extra packages in AT&T’s Digital Life. The camera package ($10 per month) allows you to view live video from outside or inside the home, while the water detection package ($5) can detect water leaks before damage occurs, and the water control package ($10) can also shut off water at the mains. The energy package can be useful to control appliances, lighting, and thermostats across the house for an extra $5, and the door package will allow a pet sitter or repairman into your home remotely with automated door locks or check to see whether your garage door is open or closed. Overall, the most expensive package would be $70 per month plus $250 installation fee including all the extra perks. Of course, Verizon already offers its own home automation and security system, which has a base price of $90 installation and $10 monthly fee. However, maxing out with all the extras on Verizon—including entry and energy accessories, a smart thermostats and energy reader—would cost $720 upfront, even though the monthly cost of $10 is significantly smaller than AT&T’s recurring charge. Editor's note: If you're interested in home-control technology, be sure to read our in-depth, hands-on reviews of Nexia Home Intelligence and Lowes' Iris.